India vs Australia 3rd Test Melbourne: It was the perfect fast bowlers' dismissal as Mohammed Shami clean bowled Pat Cummins to make things worse for the Australians. 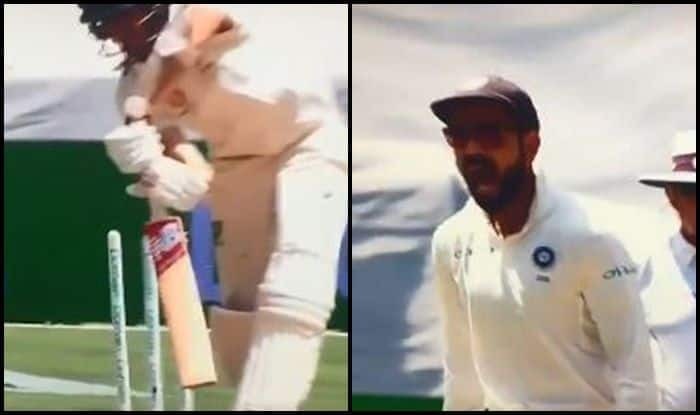 India vs Australia 3rd Test Melbourne: It was the perfect fast bowlers’ dismissal as Mohammed Shami clean bowled Pat Cummins to make things worse for the Australians. Cummins scored 17 runs off 48 balls. Shami set him up beautifully with the first five balls and then got one to hold its line and get the top of off. Cummins showed some resistance, but it was too good a ball for a No 7 to counter as Shami picked up his first wicket of the innings. He has been hitting the right line and lengths and finally, it paid off. India picked up three wickets in the second session on Day 3 to get on the driver’s seat. Indians have been extremely good with the ball, be it Jasprit Bumrah, Ishant Sharma or Ravindra Jadeja. Here is how Shami send Cummins packing. The wicket was also Shami’s 100th Test wicket overseas, which shows how good he is and why India, now have the belief of being good travelers. Earlier, on day 3 of the Boxing Day Test at MCG, Bumrah once again showed his class when he bowled an absolute gem to get the better of Australia’s most experienced batsman – Shaun Marsh. With that delivery, he not only displayed his wide variety of tricks but also proved why he is such an astute cricketer in all formats. The right-arm paceman produced an inspirational yorker (slow dipping delivery) at the stroke of lunch on day 3 that caught Shaun Marsh plumb in front of the wicket as Australia’s top-order was completely blown away on the third morning. At tea, Australia is 145/7 with Starc and Paine in the middle. They have a mountain to climb! There are predictions of rain on Day 4 and 5 and Australian fans would be hoping rain comes to their rescue.